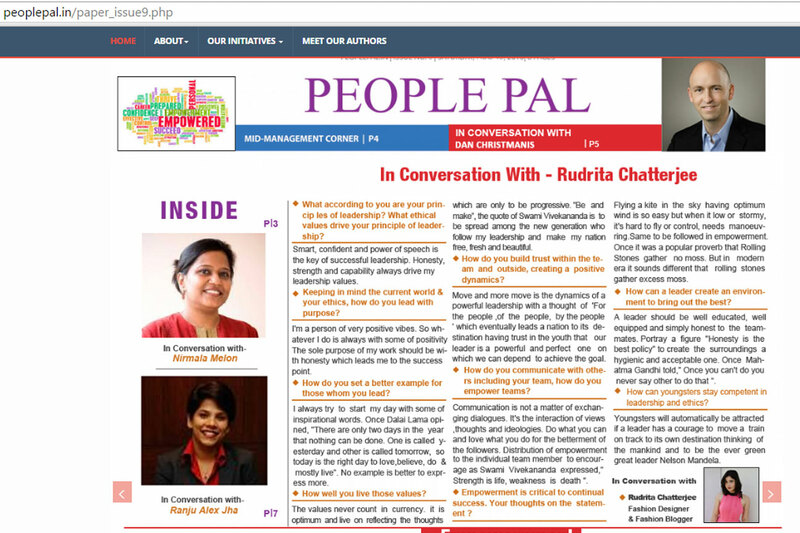 Go and check out my exclusive interview on the First Page of People Pal to know more about my thoughts. Dr. Deepak Malhotra has taken this interview in a real attractive way. You can get the full conversation HERE. The interview is all about leadership and empowerment. Read all of it in the website. Thank you Dr. Malhotra for capturing my thoughts so well and People Pal for featuring me.